Angels Without Wings (Sing that to the tune of Fiiiiiiiive Golden Riinnnnngggs) lol! I met Chris Smith at a lovely local bookstore called Full Circle, on May 18th of 2013 (no, I didn’t remember that date off hand, I had to look it up! ha). Chris was a local author featured at Full Circle’s monthly “New Ink”. I love going to New Ink because not only do you get to hear about books straight from the author, but you can also get signed copies. I collect signed books, so it’s right up my alley. Before this particular trip to New Ink I’d looked up all of the books and read the synopsis. Chris’s book was not one that I was interested in reading. That quickly changed upon arriving. I meandered around the tables, and Chris was one of the only authors actually willing to strike up conversation about his book. He pitched it to me, so to speak, but he was really just telling me about a story he enjoyed. His love to the story was evident and made me want to read it. I did, and it was good! Oh, and I also track ALL of my books through Goodreads. When I found out Chris didn’t have his book on there, I immediately contacted him and told him to set up an author profile and I went directly to Goodreads and got his first book in the database. He probably thought I was a crazy person, but I can’t have undocumented books skewing my yearly statistics 😉 I was so glad he’d talked me into buying his books. Now I bother him as soon as he releases a new book and makes him sign a copy of it for me. Chris caught on to The Art of Encouragement at some point in our conversations and now sends signed Christmas cards with every book. Is that a stand up guy, or what? While trying to win the latest release in the Angels Without Wings Series (#4 Hunting Halos) we discovered the Chris and my husband, Russell, actually graduated high school together. Small world, right?! The books are good. Really good. While they are a part of the young adult genre, and take place in the lives of high school students, they are completely captivating and well thought out enough for adults. The books take place in Mustang, OK, so if you live in these parts you might see some familiar landmarks throughout the series. You’ll find Christian themes throughout the series (it IS about angels, after all), but don’t expect scripture or for it to be overly preachy. Chris is now self published and his books are widely read. He’s doing great, and I’d love for you to give his books a try. 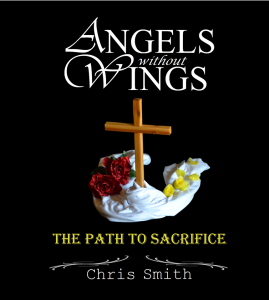 5 lucky winners will win SIGNED FIRST EDITIONS of the 2nd book in the Angels Without Wings Series, “The Path to Sacrifice”. These are the last first editions on the planet, so you don’t want to miss out on this! You have until 8am tomorrow to get your entry in! All winners will be asked for their address within 48 hours of contest end, if we do not have it already. 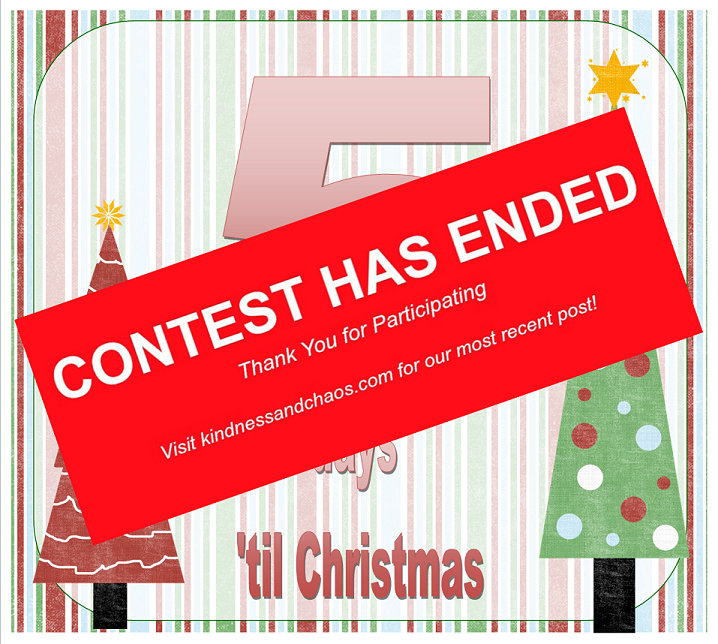 Prizes will not be mailed until AFTER Christmas, to help lighten the Christmas load of our post carriers. I think I’ll try one of his books now, after your stellar recommendation! I’ve been on a book buying spree . I definitely want tool ok him up and check out his books. He sounds like wonderful person. This sounds awesome! I had good reads on my phone before I had to factory reset it! I can’t believe I forgot to re download it! I love the fact that u read sooo much and he is willing to send u signed books. A signed card tells me what kind of stand-up guy he is. This sounds like a great author I think I will as well read his books. I like the younger gen so that will be great! I am happy you get to meet so many inspiring people in your travels it really makes who you are a truly wonderful and giving person!! Have a great weekend! What an awesome guy! Very generous. I would love to read these books.